"Production was moved to Mexico City as New York City union regulations wouldn't allow Chagall to paint his own sets. In Mexico, Chagall tackled the backdrops while his wife worked on the costumes, which he finished with hand-painting." Few, if any, true artists are only good at one kind of art. Many writers also paint or sew. Many dancers also write. Several big name singers are known for their painting and photography. It's an artistic nature that longs for creativity, usually in may forms. 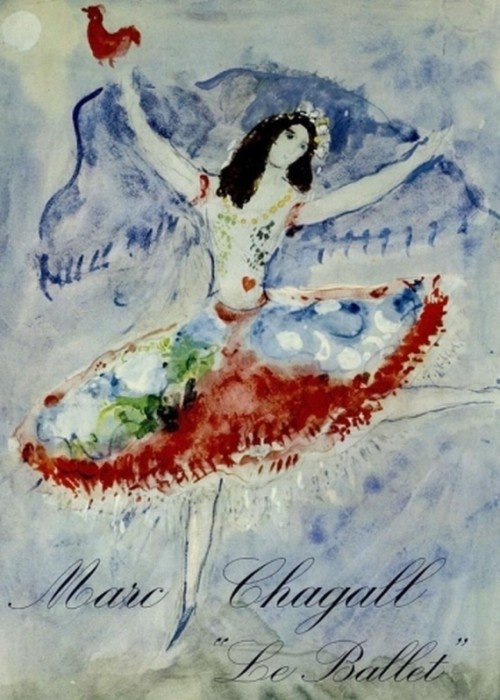 While I'm not a big Marc Chagall fan (I lean far more toward realism in my arts preferences), I can appreciate that he cared so much about doing his own backgrounds for his ballet concepts that he moved his show to where he could design it as he wished. It was definitely New York's loss. The quote says his wife worked on costumes, but Chagall did much of that himself, even playing with different fabrics and layering techniques in order to get the looks that were in his head. When artists are allowed free rein, they can do some incredible and widely varied pieces/productions, making it more truly self-representative. Which leads me to indie authors. Every time I turn around, I hear "indie authors Must, capital M, hire someone to do their cover art and they Must hire someone to edit if they want to be deemed professional!" I understand no artist can do every different art in a professional manner. I get it. Many writers do full well need to hire out cover work to avoid a reader/critic looking at it and thinking "amateur Photoshop job" which leads to not even bothering to go farther. I've done that myself with books. Yes, once a reader has "unprofessional" in her head, it floods over the whole work, fair or not, true or not. However, some of us writers are also art trained and/or design trained and the never do it yourself rule doesn't apply. Get opinions, of course. Always get opinions, no matter how professional you think you are. And yes, we all need someone else to read our work to catch things we can't catch because we're too close to the story. Does that mean we have to pay $1-2 per page for a "professional" editor? Maybe. Maybe not. Maybe we have dear family members and friends who are actually good at catching the "that doesn't make sense" lines and story arcs as well as typos. And maybe, just maybe, after someone catches those story arc and awkward sentence issues, some of us can go back through subjectively and carefully enough and are familiar enough with spelling and grammar rules to do our own copy-editing. Yes, some of us can, just as Chagall aptly designed costumes as well as painting his own backdrops and working on choreography for the dances. Rules often go way too far. We have to know when to listen and when to move somewhere else to stay on our own path, figuratively, or literally if it calls for that. Yes, many artists are fantastically multi-talented. In this day of the Big 5 publishers where a children's author cannot, with few exceptions, also illustrate her own books regardless of how skilled she may be at getting the images she sees for her stories onto paper, when the Must Nots gladly curtail the creative process due to bookkeeping issues, when the slush pile reader hired by the pubs toss aside beautiful books because he doesn't like the main character's name, being the same as an ex he is still angry with (yes, it happens), when a writer Must have an agent to submit a book to one of those big guys and agents only accept what's "in" right now, and if accepted, that publishing date can be 2-10 years in the future, or held and not published (also happens), the fantastical authors can easily be left behind. This is why I self-published. This is why so many of us, to include those who have been previously or are still traditionally published, some by the big guys, are moving into self-publishing. It's not a last resort because everyone said no thanks. It's a freedom of choice and self-expression thing. I have nothing against traditional publishing. I have a novella contracted and published and I may give that another try. Sometimes that works great. Sometimes it doesn't. If that works for an author, wonderful! If it doesn't work due to creative differences, try the other path. The truth is that some of us need paid help and some don't. Some of us can do better covers than many of the self-titled "experts." Some of us write so far outside the mainstream that self-pub is our only option. Some of us can out-write the "big" name bestsellers with no real struggle and are still mostly unknown because we don't have the "big name pub and big money" backing us. Some of us simply must move to where we can fulfill our own visions without the gate keepers putting up, well, gates. It is not the easier path. Most of us do most of the editing/publishing/marketing duties solely on our own, to include building and maintaining our websites and blogs and social media accounts, buying our ISBNs, doing research into which printing/distribution companies are likely to be best for our needs, uploading our books and covers per specs, and keeping up with industry info. It's a huge multi-tasking job. It's time-consuming. It's brain-tiring. It's frustrating. It often seems completely unproductive. But we do it for love. We love writing. We love our stories, our characters. We have things to say that might not fit the current "you must say this" standard. It's only passion that keeps us running, as most of us pay very few bills with this thing that takes so, so much of our time as we work it around kids, jobs, spouses, houses, injuries, health concerns, sleep... you name it. It's tough. It takes courage. But it's a must. While you're checking books off your shopping list, maybe try one of these intrepid indies along with the big names. They should all have excerpts available, usually on their websites where you can also learn more about them. 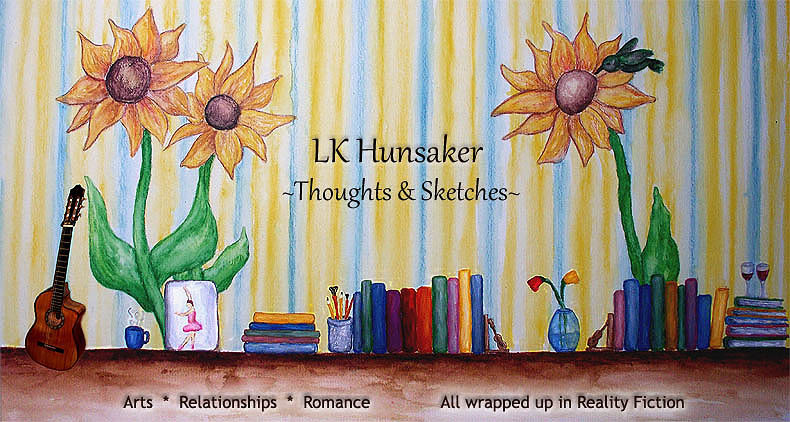 To make it easier, I'll invite those I know to share their own links plus links to their favorite indie authors in the comments. Indie authors only here, please. I'll do a separate post for small press authors. "To encourage Literature and Arts is a duty every good citizen owes his country."